Many of us only know the name Agatha Christie in association with known works of literature, such as Death on the Nile or And Then There Were None, imagining her as being this entity that churns out one murder mystery after the other without ever seemingly getting tired. Unfortunately, it seems that most schools put very little emphasis on her works or her life, and as a result countless people grow up deprived of knowing anything about one of the twentieth century’s literary titans. She was part of a rare breed of people, the kind whose lives and professions blend together, making for turbulent lives that are nevertheless rich in history. As you are going to find out a bit later, Christie had a very interesting life, one that perhaps even started to mirror her career as time went by. Just like most good stories, Agatha’s life began in a very promising way when she was born in September 1890 into a wealthy upper class family whose members overcame many hurdles to live as comfortably as they did in South West England. As Christie herself would put it, she had a very happy childhood and from a very young age was consistently interacting with strong and independent women. She traveled a fair bit around Europe, going from one vacation home to another. Being born into a wealthy family she was provided with a sophisticated home education, learning to read, write, do basic arithmetic and play the piano as well as the mandolin from a young age. 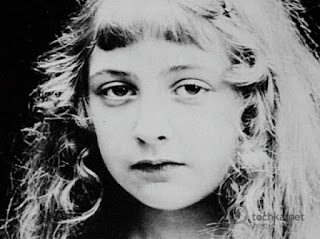 As most prominent authors, Christie developed a love for reading from a very young age, with some of her fondest childhood memories consisting of burying her nose in the pages of children’s books. All of that wealth and comfort didn’t come without a price though; much of Agatha Christie’s childhood was spent secluded from other children, which to a certain extent inhibited her social development. Later in life though she did make friends with a group of girls in Torquay, and starring alongside them in a theatrical production was, according to Christie, one of the most joyous moments in her lifetime. To make matters worse, her father fell ill quite often and suffered from a number of heart attacks, finally succumbing at the age of fifty-five in November 1901. His death not only came as a heavy blow to the family, but it also left them in a precarious financial situation, and that served as a wake-up call for Christie, one that would grab her by the arm and throw her into the brutal and unforgiving world of adulthood. In 1902, Agatha received formal education at Miss Guyer’s Girls School, though she never could quite fit into the strict regime the girls were made to follow. Three years later, in 1905, Agatha was sent away to Paris where she was educated in three schools: Mademoiselle Cabernet’s, Le Marroniers and Miss Dryden’s. Though Christie had written many stories and poems, none of them really had any impact or recognition, that is until she wrote her first short story, “The House of Beauty”, a six-thousand word story revolving around Agatha’s favorite topics, dreams and madness. Though it did have many imperfections it was enough to serve as a start to her literary career, and from that point forward she never looked back. However, her first novel, Snow Upon Desert, had trouble being published; no publisher wanted anything to do with it, and so it slowly died away. Though Christie did temporarily step away from the literary world to marry Archibald Christie “Archie” in 1912 hoping to return to it shortly, her plans came to an abrupt stop as the First World War broke out in 1914. During the four years that followed Archie was shipped to France to fight off the Germans while Agatha joined the Voluntary Aid Department where she attended to wounded soldiers for the duration of the war. 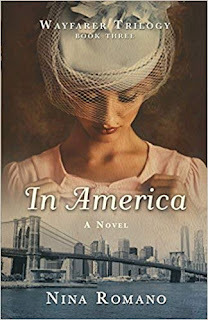 When all finally came to an end and the Allied Powers waved the flag of victory, Agatha finally decided to write her own detective novel, having been a huge fan of Wilkie Collins and Sir Arthur Conan Doyle. 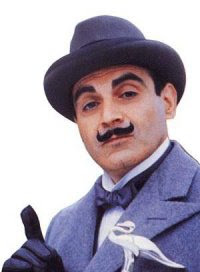 And so came to be The Mysterious Affair at Styles and the famous Belgian detective, Hercule Poirot, saw the light of day. After several months Christie finally managed to get her book published (under the condition she would change the ending), though it didn’t bring her much in financial terms, neither did her second book, The Secret Adversary. After publishing Murder on the Links as well as some short stories with Hercule Poirot at their center, she started to earn some recognition, and the fact that she and Archie became some of the first Britons in history to surf standing up. Christie was generally known as being somewhat reclusive, with there being very little in the way of footage or photographs of her. She very rarely gave interviews or made public appearances, and when she was once asked to read her work on the BBC she admitted to be suffering from stage fright. There are still previously-unknown works of her that keep popping up even to this day, with one of the more recent cases being the Harper Collins publication, Agatha Christie’s Secret Notebooks: Fifty Years of Mysteries in the Making. As the number of books published kept on rising, so did Christie’s fame. With time, she became recognized as being one of the most influential personalities when it comes to detective literature, and her contributions begin with the creation of Poirot and Miss Marple. Both of them are polar-opposites in terms of character; with the former being arrogant and insufferable while the latter is kind and gentle. Nevertheless, when it came to solving cases, these were the sleuths people wanted to see at work. It felt as if in every novel, they established some kind of link with the reader and went on the adventure together, rather than it being a case of observing the mystery from the outside. Though Christie did admit she preferred Marple and ended up describing Poirot to be an “ego-centric creep”, they both remain some of the most beloved detectives in literature. 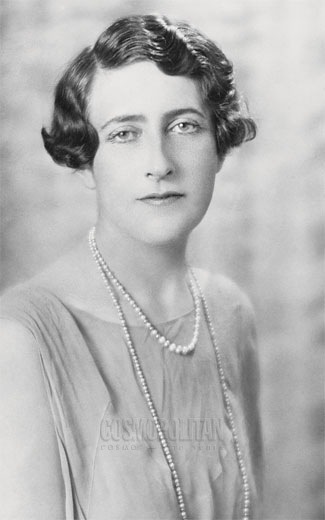 As a matter of fact, during the Second World War Christie wrote two novels, Sleeping Murder and Curtain, both of them designed to be Marple’s and Poirot’s last cases, to be published at the end of her life. When Poirot’s story was finally published, he actually became the only fictional character to have ever been given an obituary by The New York Times, and it was even published on the front page. Miss Marple was spared such a fate though as her end comes in the form of a dull and regular life in St. Mary Mead. Naturally, Christie’s contributions to literature go beyond the creation of two memorable characters. More precisely, she is known as basically being one of the pioneers of the whodunit genre, and many of the techniques and devices she used became staples of the genre to this very day. In most cases, the stories even follow a similar structure, starting with the main sleuth either stumbling across a murder or being called to its scene by someone. In some cases, the detective is asked for help by an old acquaintance who is more than likely involved in the crime. As the detective gradually analyzes the scene and interrogates suspects, he/she starts to form a preliminary picture of what happened. The important part is that the detective always makes note of each clue, actually giving the reader a fair chance at solving the crime. Further down the line, a suspect generally dies as a result of having discovered the killer’s identity, and at the end, the detective organizes a meeting with all the characters in which the truth is logically laid out, step by step. In some cases (as in Death Comes at the End for example) there are multiple victims before the murderer is unveiled. Agatha’s stories were no strangers to plot twists, as on two occasions the murderer turns out to be the story’s narrator and on six occasions the murderer escapes any form of justice or retribution. As you may know, these are techniques that have been used time and time again not only by book authors but also by moviemakers. Perhaps the greatest mystery Agatha left us with was her own, and we’re not talking about her lack of communication with the world. There was a time in the author’s life during which she disappeared for eleven days. In December 1926, her car was found abandoned with her effects still inside. After eleven days of manhunt, a banjo player accidentally discovered her staying at a hotel under the pseudonym Theresa Neele. 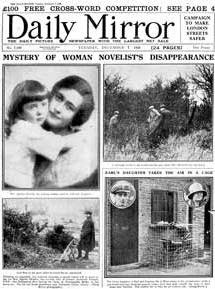 Though Agatha claimed to have suffered from a bout of amnesia brought on by recent tragic events in her life, there are many other theories as to what could have happened, and these include vengeance, publicity stunt, insanity, boredom, and even the idea she set the whole thing up to enact a real-life mystery. Curiously, the event is not mentioned at all in her autobiography. And so, it seems that one of the most celebrated and important authors of the twentieth century could not bear the thought of leaving this world without giving it at least one more mystery to solve. “Traveling Heavy” by Ruth Behar – What is Home?